This is by no means an exhaustive list, just a starting point to reflect on so you can start to cultivate healthy soil in your garden. No matter what kind of soil you have (sand, clay or loam-based), there’s one sure way to kill any soil life in no time. That’s using chemicals. Yep! Any kind. These include herbicides or weedicides you spray on your lawn, pesticides for the bugs, fungicides for the diseases, and even recycled grey water if you use non-organic personal, laundry and cleaning products. Many synthetic fertilisers are toxic for your soil life too. Food for thought isn’t it? Chemical compounds all filter out into your soil when you water or it rains. 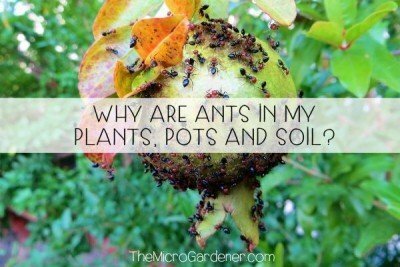 So even if you use chemicals in one area of your garden, don’t think they just stay there! Those chemicals move from the surface on plants or grass and down into the soil and water table. Some systemic pesticides will cause lasting damage for years. Using chemicals is one of the quickest ways to reverse your efforts to build a healthy, living soil. 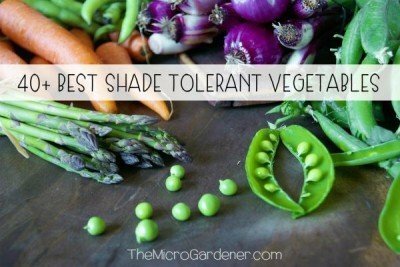 If you want a garden that sustains you and healthy plants, toss out toxic substances. Hey, and remember your pets too. Love your dog or cat? Think about what those nasty chemicals are doing to your fur babies. They eat grass to help with digestion, so those weedkillers aren’t just harming your weeds. They are equally ingested by animals and wildlife, including birds who forage for worms and insects. It doesn’t stop there. Those poor little soil workers under your feet, lawn or garden bed have no chance. Chemical poisons are a death sentence. Earthworms and microbes may be small, but they are a vital part of a healthy garden. You need these guys to help feed your plants. So, if you’re a gardener that even sometimes uses chemicals, make it a goal this year to start solving your problems in a non-toxic way. For your own health, as well as the plants and animals in your garden. 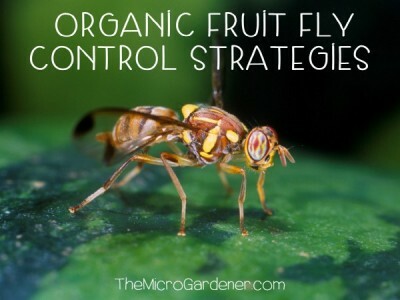 There are plenty of organic strategies I share in articles on this site to help give you alternative ways to work with nature and avoid contaminating the very soil that feeds you. That’s right. I’m no fan of digging! 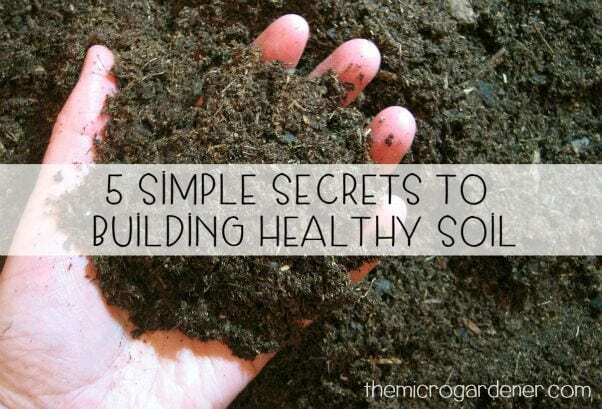 I focus on quick, easy ways to create healthy soil, rather than destroying it. One main reason is digging disturbs dormant weed seeds. That’s right. Nature sleeps until there’s some kind of chaos or disturbance. One sure way to get weed seeds to germinate is to mess with your soil! Do yourself a favour and stop using your spade. The only time I use one is when I plant a fruit tree. 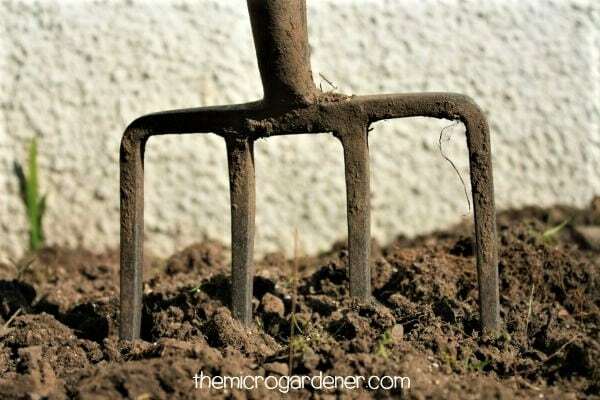 It’s OK to gently use your garden fork to aerate your lawn or garden bed. For sure, this strategy can assist with improving soil structure. However, double digging (apart from being unnecessary and incredibly hard work) or turning over your soil, can quickly destroy the living community of microorganisms below. I’m talking mass murder! The soil is their ‘house’ – their shelter, where they live, work and eat. So, give your soil ‘community’ a break and build healthy habitat for microbes by adding organic matter like manures, cover crops, compost and mulch. Likewise, avoid compacting soggy soil after rain by trying to work it. We never mow or use equipment when the soil is wet. I make it a rule not to ever walk on my garden beds. It’s too damaging. Waterlogged soil needs time to drain if all the air pockets have become filled with water. These are simple steps you can take to save your soil from damage. Now we get to an important positive action you SHOULD take. 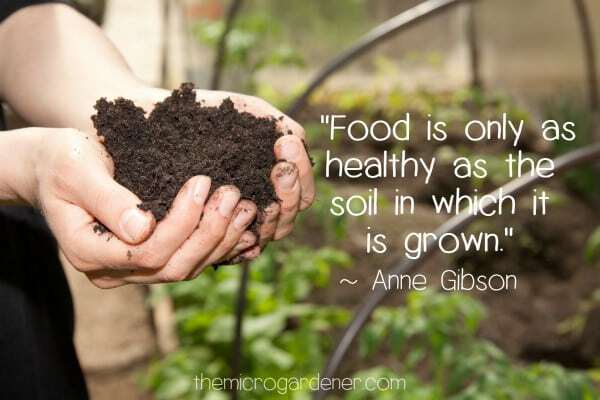 Be proactive and BUILD your soil health. Use what you have handy in your own garden, kitchen or neighbourhood to add organic materials that haven’t been contaminated with chemicals. If you have your own compost system, that’s ideal for building larger volumes of nutrient-rich soil to feed your garden. A worm farm is another way to recycle organic matter and get the worms to do the work for you to create worm castings or vermicast. This too, will help feed your soil and plants. 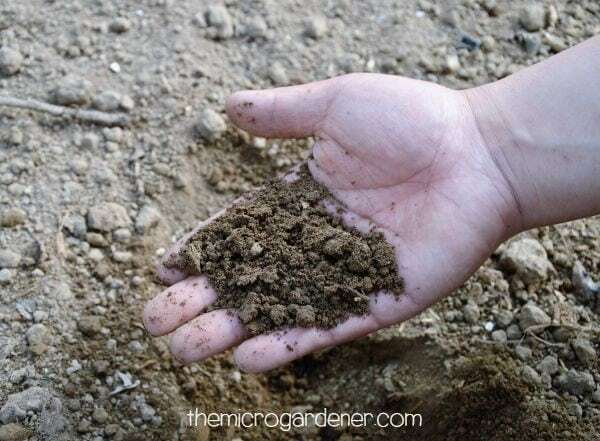 Whichever soil building method you use, layering organic matter on top of your soil helps create habitat for your soil workers, add nutrients and vital moisture, improves soil structure, balances pH and imitates nature. So, go for it! It doesn’t matter whether you are growing in containers or garden beds (raised or on the ground), the rule is still the same. No bare earth at any time. Otherwise, ‘weeds’ (I like to call them ‘Nature’s rehabilitators’) will turn up to do your job and cover the earth to protect and nourish it. Always cover with mulch or a living ground cover. Use whatever you’ve got handy. Leaves, dried grass clippings, hay, woody bark chips, etc. Or plant a cover crop, green manure or ground cover that will stop weeds from growing and feed your soil workers. Applying mulch or a living ground cover stops moisture from evaporating and provides a healthy environment around your plants, helping feed the soil. You’ll reduce your water needs, lose less nutrients while protecting your plant and soil health. Dead, dry dirt is often the reason why many people can’t grow healthy plants. All plants need moisture to not only survive, but to thrive. 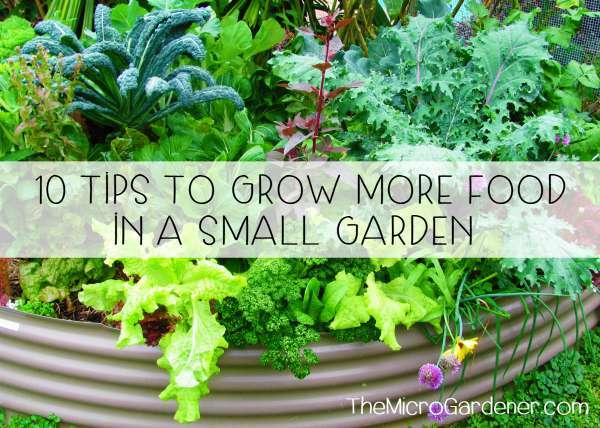 Even more so when you’re growing food. Fruiting crops like pumpkin, zucchini, cucumbers and capsicum, fruit trees as well as leafy greens have high water needs compared to many other edibles like hardy herbs. So, maintaining soil moisture is a key to a healthy soil. If you live in a very dry climate, you may need to make wise choices about the plants you grow. The less rainfall you get, the more you will need to water. The more organic matter your soil has, the greater the moisture holding capacity. If you live in a high rainfall area, soil moisture may not be an issue for you. However, for most gardeners including myself, at least some of the year has little or no rain. So, watering and maintaining soil moisture levels is a top priority. If your soil is too dry, your plants can’t access the nutrients. If it’s too wet and waterlogged, they can suffer from root rot and other problems because of inadequate drainage or aeration. The microbe community down there literally drowns. Aim for a consistently moist soil for most plants except for drought hardy varieties and water-wise plants. One easy solution is to make your own soil potting mix that has everything your plants need – shelter, nutrients, moisture and air. At least until your soil health improves. 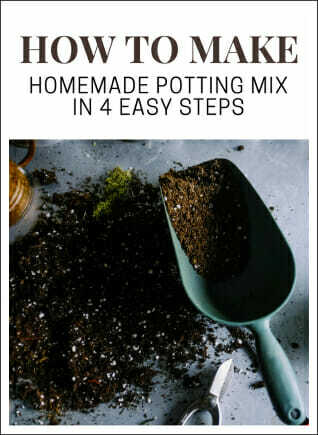 You can learn to make your own soil mixes sustainably with my How to Make Potting Mix at Home Guide. 1. 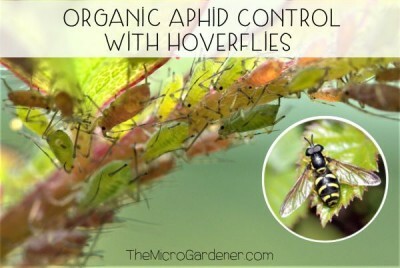 Stop using any chemicals to encourage a healthy soil microbe population to help feed and protect your plants and avoid harming beneficial insects, pollinators and wildlife. 2. Avoid digging and compaction which destroy soil life and structure. Be gentle with the earth – layer UP instead of digging DOWN. 3. Continually add organic matter – one of the building blocks of healthy soil, which decomposes and recycles nutrients to feed your plants. 4. Keep your soil covered, never bare. 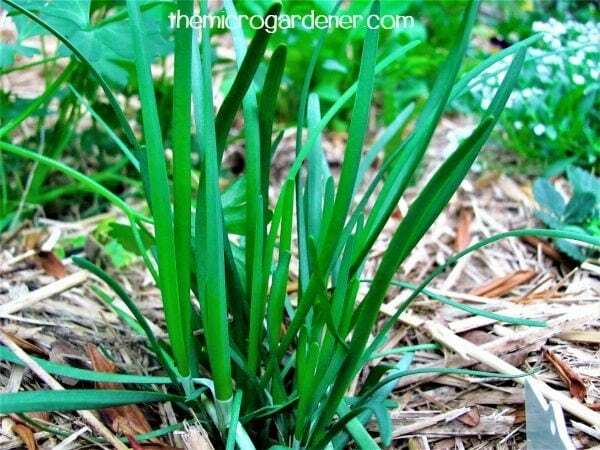 A layer of mulch, living ground cover or a short-term cover crop are easy solutions. 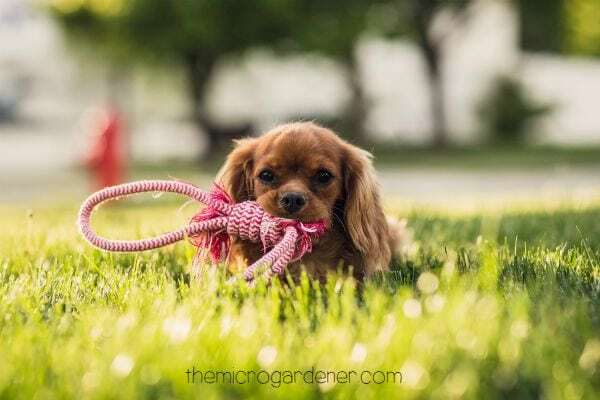 See 20 Reasons Why You Should Mulch Your Garden. 5. Maintain your soil moisture at a consistent level. If you are growing in pots, learn more in 17 Water Saving Tips for Container Gardens. 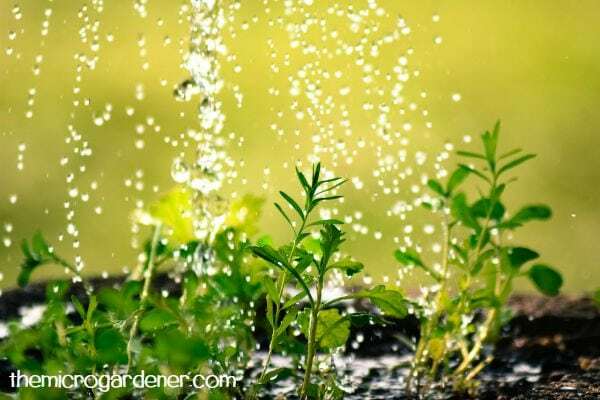 If you are growing plants in garden beds, see Ten Water Saving Tips for Your Garden for practical strategies you can use and water-wise plant suggestions.